I am very pleased and honoured to be here at the opening of this year’s High Level Regional Conference on “Synchronizing Trade and Security Plans in Support of ASEAN 2025”, which is being co-organised by the Government of Thailand and the United Nations Office on Drugs and Crime (UNODC) to serve as a platform for the discussion of ways and means to synchronize the trade and security agendas to complement the ASEAN Community Vision 2025, especially in terms of measures to enhance border management cooperation within ASEAN and facilitate safe and secure trade while safeguarding ASEAN from transnational crimes and other cross-border challenges. I am pleased to learn that Thailand and the UNODC have co-hosted this Conference since 2015, with this year marking the fifth meeting in the series. I am confident that the outcomes of this year’s Conference will lead towards the development of more concrete and sustainable border management cooperation in ASEAN. Today, transnational crime is on the rise, in part due to advances in technology, enhanced transport connectivity in the region, as well as the increased popularity of information technology and digital systems and devices for such things as daily communication and online transactions. Without the appropriate preventive and counter measures, however, these developments can be channels for transnational crime, which would be a complex challenge and could bring about widespread adverse effects politically, economically, and socially, affecting also human security. According to a study by the UNODC, transnational crime in its various forms is estimated to generate revenues of some $100 billion USD per year. The study also finds that transnational crime is expected to rise continuously in every region of the world. This means drugs, human trafficking, the illicit trafficking of wildlife and timber, people smuggling, and emerging challenges such as cybercrime. 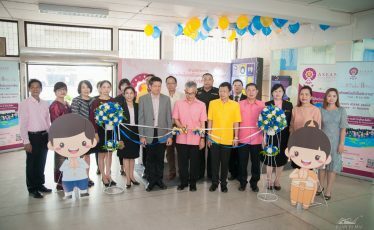 This year, the ASEAN Single Window is expected to be fully operational, which will link up the customs databases of all ten ASEAN Member States, streamlining customs procedures and facilitating cross-border trade. This means that ASEAN trade liberalisation will become more comprehensive. 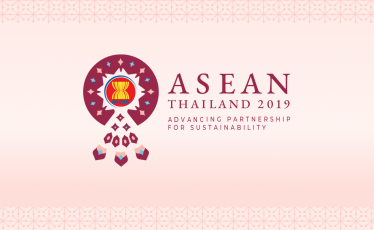 ASEAN also plans to promote a seamless ASEAN Community, with enhanced regional connectivity by land, sea and air, as guided by the Master Plan on ASEAN Connectivity 2025 (MPAC 2025). These measures, however, may have unintended and indirect impact on our borders, making them more vulnerable and susceptible to transnational crime and negatively affecting governments. ASEAN Members States are well aware of this challenge. That is why the ASEAN Community Vision 2025 and ASEAN Community Blueprint 2016-2025 aim to both build a more deeply integrated and seamless ASEAN Community and endeavour to seek measures to safeguard the ASEAN Community from transnational crime through the establishment of key sectoral mechanisms, namely, the ASEAN Ministerial Meeting on Transnational Crime (AMMTC) and the ASEAN Senior Officials’ Meeting on Transnational Crime (SOMTC). 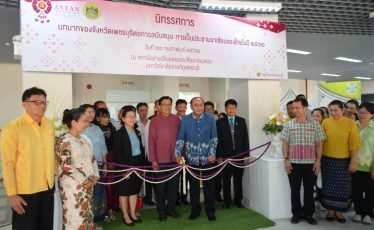 The AMMTC and SOMTC meet annually and serve as the key bodies for ASEAN cooperation in the prevention and elimination of transnational crime as well as the promotion of collaboration among Member States in information-sharing, law enforcement, capacity building and training, and cooperation with external partners. However, these ASEAN workplans and mechanisms may not be enough to counter transnational crime and today’s emerging non-traditional threats. This is why Thailand proposes that ASEAN consider developing a more coordinated border management cooperation arrangement to protect the region from transnational crime and ensure safe and sustainable cross-border flows of trade, investment and peoples. 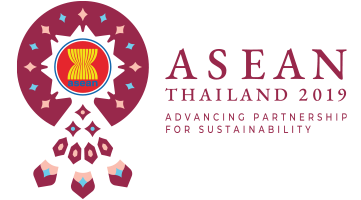 This year, Thailand assumes the ASEAN Chairmanship under the theme of “Advancing Partnership for Sustainability”. We aim to promote sustainability in all dimensions, especially sustainable security and resilience to all forms of threat and transnational crime. Indeed, on 21-22 March 2019, Thailand hosted the Special ASEAN Ministerial Meeting on Illegal Wildlife Trade in Chiang Mai. Each year, the revenue from the illicit wildlife trade is estimated to be some $2.5 billion USD, a figure that is most likely to rise. The responsible ASEAN Ministers therefore issued a Joint Declaration reflecting their commitment to combatting wildlife and timber trafficking by intensifying efforts to reduce demand for wildlife consumption, stress the importance of law enforcement and reduce wildlife cybercrimes. The Meeting also emphasised the importance of international collaboration to address this issue in a sustainable manner. Transnational crimes, such as the illicit trafficking of wildlife and timber, cannot be resolved by any one country alone, but rather requires that all countries work together by taking a holistic, efficient and sustainable approach to the problem. For this reason, ASEAN should collectively consider establishing an ASEAN-wide border management cooperation arrangement which would strike a good balance between facilitating trade and the movement of people on the one hand and ensuring border security on the other. Efficient border management measures region-wide will play a crucial role in minimizing the negative impacts of transnational crime and, at the same time, enhancing the region’s economic growth and prosperity. The concept of a border management cooperation arrangement is not new, as it has already been agreed upon and is reflected in the ASEAN Community Vision 2025. It would represent, in fact, the translation of ASEAN’s aspiration into a concrete work plan for the benefit of the ASEAN peoples. The High Level Regional Conference taking place today and tomorrow will build upon the outcomes of previous years’ Conferences. I hope that this year’s Conference will provide opportunities for high-level representatives from the ASEAN Member States, ASEAN Dialogue Partners and International Organisations to exchange views and perspectives, which will lead to the adoption of practical and concrete measures on three particular issues. First, the sharing of information and exchange of intelligence between ASEAN Member States and the UNODC to intercept and break up networks of illicit drug trafficking, trafficking in persons, wildlife and timber trafficking, people smuggling and cybercrimes. These are serious threats to our society and peoples and can obstruct trade. Second, strengthening cooperation in preventing and combatting transnational crime and cross-border challenges in a systematic and holistic manner. Third, promoting sustainable development at the local level in line with the Initiative for ASEAN Integration, or IAI, which aims to narrow regional development gaps. This will in turn address transnational crime at its root causes and promote intra-regional trade. Thailand stands ready to share our experiences with ASEAN Member States and UNODC members, particularly on the topic of applying the Sufficiency Economy Philosophy to efforts to attain the SDGs in partnership with friends around the world, or what we call the SEP for SDGs Partnership. In addition to discussing the security and economic perspectives of border management cooperation, the Conference should also address legal issues and building operational capacity for effective border management. Thailand will compile all of the recommendations from this Conference and submit them to the relevant ASEAN sectoral meetings, especially the SOMTC and the AMMTC, the latter being a meeting to be hosted by Thailand later this year. The outcome of the Conference will also be presented to ASEAN Leaders at the 35th ASEAN Summit in November 2019 for endorsement. Lastly, I wish to express my sincere appreciation to the ASEAN Member States, ASEAN Dialogue Partners and International Organisations for sending high-level representatives to this Conference. I also wish to thank the UNODC for cooperating and partnering with Thailand on the hosting of this Conference. I hope that this Conference will serve as a first step in encouraging informationsharing and the exchange of best practices on border management among ASEAN Member States, which will lead to a more concrete ASEAN-wide border management cooperation arrangement in the future. Indeed, we face new threats and challenges every day. Therefore, resilient and effective border management cooperation is key to our efforts to address transnational crime and promote safe and secure trade, investment, movement of people as well as flow of factors of production in the region. Ultimately, doing so will contribute to economic prosperity and increased safety for our peoples which, in turn, will reinforce an ASEAN Community that is secure and better prepared to address challenges in a sustainable manner. In closing, on behalf of the Government and people of Thailand, I wish to welcome all of you to this Conference. Thank you again for coming at such high levels of representation and in such numbers. Thailand stands ready, as always, to work with all of you — each and every country — and all sides, including of course the UNODC. I wish you a successful meeting, much happiness and a safe return journey home. Copyright © 2018-2019 Department of ASEAN Affairs, Ministry of Foreign Affairs of Thailand. All Rights Reserved.